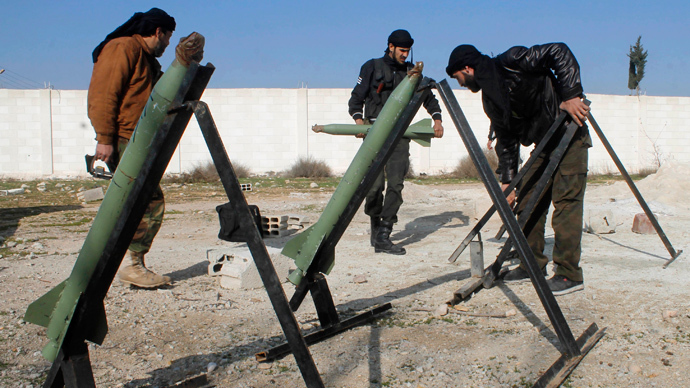 A powerful group of Syrian Islamist rebels rejected upcoming peace talks with the Assad government Sunday. This was in spite of the decision of the Syrian National Coalition, the main Western-backed opposition group, to attend the conference. The Islamic Front, an alliance of several powerful Islamist fighting forces, which represent a large portion of the rebels on the ground, said it rejects the peace talks due to take place in Montreux, Switzerland, on January 22. Syria’s future will be “formulated here on the ground of heroism, and signed with blood on the front lines, not in hollow conferences attended by those who don’t even represent themselves,” Abu Omar, one of the leading members of the Islamic Front, said on his Twitter account. The meeting will be the first between President Bashar Assad’s government and its opponents. The decision of the Islamists means that even in the unlikely event of a breakthrough, there will be little chance of implementing it on the ground. 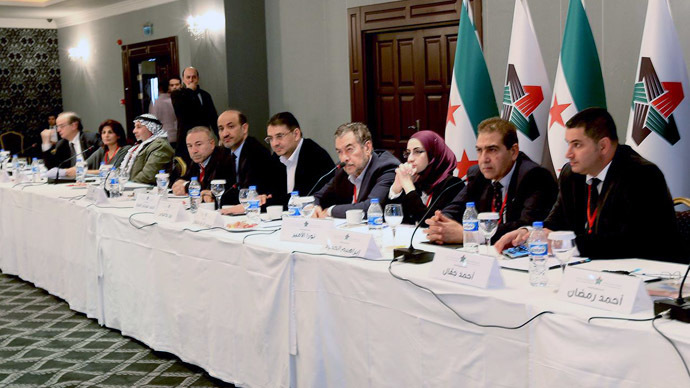 The Syrian national coalition took the decision to attend the talks at a vote in the Turkish capital Istanbul. The vote, however, had been delayed as 40 of the coalition’s delegates staged a walk out, although those in favor of going to Geneva tried to persuade them to stay in order to display a show of unity. Of the 120 member coalition only 73 voted; with 58 voting in favor of going to Geneva, 14 against and one abstained. The western backers of the Syrian National Coalition however had made it clear that failure to attend the Geneva 2 talks would mean an end to their continuing support. Russia welcomed the result of the Coalition’s vote. "That is the right decision, we've have always said that one has to go to the forum and enter into dialogue with the government," Deputy Foreign Minister Mikhail Bogdanov told the state ITAR-TASS news agency. "The most important thing is for them to put together a representative delegation. As far as we understand, right now contacts are under way between various organizations and figures," he said. 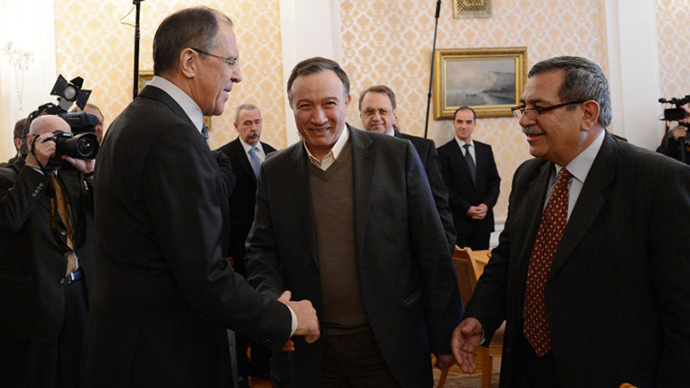 Russia’s part in brokering the talks involved bringing Assad’s government to the negotiating table. The Syrian leader however was reported to discard the opposition’s core target – his resignation. Assad reportedly added that even US Secretary of State John Kerry had acknowledged that Washington is aware that over 50 percent of Syrian’s still support Assad. “Just add several percent to the American estimate – and that would mean absolute support of the Syrian population towards its president,” he stressed as quoted by Interfax. The agency cited a group of Russian diplomats who met the Syrian leader in Damascus. Assad also wondered why not a single opposition leader had expressed any desire to take part in an open political struggle with him, despite having captured 70 percent of the country’s territory. However, later the quotes were hailed “not accurate” by the Syrian presidency's press office, though it was not elaborated whether all of them or just some were not correct. Some 130,000 people have been killed and about a quarter of the population forced from their homes in the almost three year long civil war, according to London-based Syrian Observatory for Human Rights.What began as peaceful protests against the 40-year reign of the Assad family gradually descended into all-out conflict, increasingly sectarian in its nature. Damascus insists it is fighting an insurgency sponsored from abroad; several groups fighting against the government have ties with Al Qaeda. There is no sign of either side wining conclusively on the battlefield, although the past year has largely seen the war go the President’s way and the rebels have turned on each other.